A detox can change your life. I can say from personal experience that each time I complete a detox I feel better than ever. 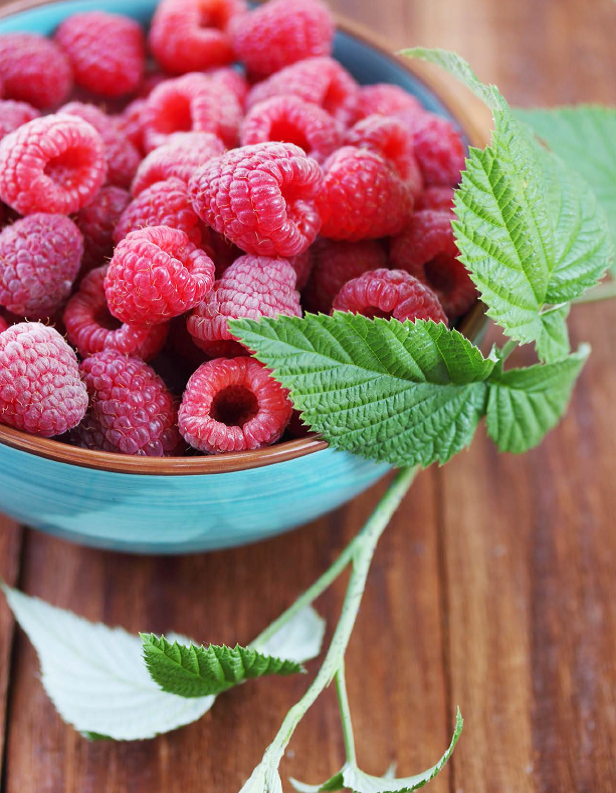 It may be summer, but embarking on a raw cleanse can awaken the senses and experience your own natural awakening. Recently I was diagnosed with GERD otherwise known as GastroEsophageal Reflux Disease. When I heard this from my doctor I felt like my health was in free fall. Now I feel like I need to take a look at my diet and give my digestion a break. Since I was diagnosed I have been learning the tools that I need to change my body from the inside out. My plan is to embark on a detox/cleanse for 3-5 days this summer and continue to eat whole, unprocessed foods in their natural form, which will give my body energy, and possibly solve the GERD. I want to share a simple cleanse with you so you can also improve your bowel function, support your weight loss efforts, and be provided with an amazing opportunity to uncover hidden food allergy you may have. Is this you? You swear it will be tomorrow, or Monday, or your birthday. The day you will begin to focus on you and your health. But that day always slips through your fingers. These “days” keep passing by you. You have a really busy life and taking care of yourself has not only dropped further down your “to do” list, it fell off of it. Well, I’m tired, I’m tired of feeling a pain in my esophagus, I don’t want to feel unbalanced, I want to have energy and enjoy my life to the fullest. Check out this FREE Simple Cleanse here. By signing up for the Healthy Secretary newsletter, not only do you get the cleanse, which includes one day of recipes and self-care tips, but you’ll receive the Healthy Secretary newsletter, which includes recipes, nutritional advise and information on natural health solutions. In addition to the free cleanse, I also offer an on-line clean eating plan which you can learn more about here. How about you? How well do you know beans? Creamy cannellinis, meaty garbanzos, sweet adzuki, tender pintos, and so many more – beans are one of the most powerful, nutrient-dense plant foods around. Consider this: Beans are packed with tons of fiber, as well as plenty of iron and protein. They are rich in phytonutrients. They are low in calories. Studies have found them to lower risk of cancer, cardiovascular disease, and diabetes. What To Do With Beans? Top a green salad with 1/3 cup of your favorite bean. Puree beans with a bit of olive oil, a garlic clove, salt and your favorite seasonings. Voila! A fast dip or sandwich spread. Include 1/3 cup of beans with your other favorite toppings next time you make stuffed baked potatoes or sweet potatoes. Add 1/4 cup pureed beans to your favorite pancake, waffle, muffin, or cake recipe. You’ll be surprised at how moist and springy baked goods are when baked with beans. Toss beans and diced veggies (such as celery, shallots, red peppers) with vinaigrette for a quick bean salad. Blend cooked beans with tomatoes, onions and your favorite seasonings for a yummy bean soup. If you’re new to cooking with beans, try these tips for delicious and well-cooked beans. Be sure to wash and clean the beans first. Soak dried beans for 8-12 hours before cooking (hint: cut a bean in half; if the center is still opaque, keep soaking). After soaking, rinse, fill pot with fresh water, bring to a boil, then skim off the foam. To aid in digestion, add kombu, bay leaf, cumin, anise, or fennel to the water. Cover and simmer for the suggested time. Remember: Only add salt at the end of cooking (about 10 minutes before the beans are done) or it will interfere with the cooking process. Quick tips: For speedier prep, boil dried beans for 5 minutes, then soak for 2-4 hours. Or use canned beans instead (some people find them even easier to digest!). Be sure to avoid canned beans with added salt or preservatives and rinse thoroughly once removed from the can. Like this blog? Share it with your friends. Every night we all fall into the same dilemma, what’s for dinner. Whether you are single, in a relationship, have a family or roommates, we all think about this daily, and for the most part, we will eat something that’s in our pantry, whether popcorn, tuna fish (to make tuna sandwiches), frozen lasagna, order pizza, etc. In today’s society it’s rare that we would think ahead to cook a meal for our loved ones and friends because this requires effort that most likely does not fit in with our busy schedules. We have to get a recipe, go to the store and purchase the ingredients, then come home and make the dinner. This entire process can take over 2 hours, and at the end of a busy workday, I think most of us would prefer to get in our comfy clothes and lie on the couch, and let Domino’s make pizza. Now I love to cook, I love printing out recipes, I love going to the grocery store of my choice, it’s actually fun for me. However, there are times when I’m busy at work, and exhausted at the end of the day, I can barely drive home I’m so tired, let alone cook a meal. Or I have a workshop or some other after work event that I need to attend, leaving Chad with no dinner or at the very least a turkey sandwich, where I go without dinner altogether. One thing I could not predict was my sweet kitty Baxter would have an infection that had Chad and I going to the Vet five times in two weeks, up all night worrying about or awesome cat, and not eating, grocery shopping, or sleeping. Our lives were entirely disrupted by Baxter’s sickness and we lost a whole week of our life from it. I lost 5 lbs, not sure how much weight Chad lost, but thru worry and sadness we couldn’t even think straight, let alone worry about what we were having for dinner. With our pocketbooks thin from the vet bills and our exhaustion growing, I was and am very grateful for my friend Richard, who sent Chad and I a week of food from HelloFresh. Now Richard had told me about his experience with HelloFresh, but since I already order fruits and veggies from Door to Door Organics, I didn’t want to get involved with another food delivery commitment. Richard’s kind and generous gesture was something I could not pass up, so I tried the HelloFresh and you know what? It’s amazing! HelloFresh is a meal delivery service where each week there are new recipes to try, and pre-measured ingredients to prepare the recipes delivered right to your door, cutting out the thought process for recipes and the grocery time, as well as portioning out the ingredients for the recipes, it’s actually pretty incredible and for $60 for 6 meals, it’s a total bargain. You can purchase for 2 or more, obviously Richard gave us 3 meals for two. I made the meals this past week and I can say they were easy to make, very healthy (vegetarian) and looked amazing when I served them. Each meal took about an hour to make. I highly recommend this meal service. It’s great because you can join, put off your order for months, and just wait until you have a week that you want to order, or check out the weekly recipes and see if they interest you. There is no minimum/maximum commitment, it’s really quite awesome! I want to offer you $20 off your first order with HelloFresh. Just go to their website and use the code ACH5UE for your first order. That will be 3 meals, enough for 2 people each for $40! You can cancel your account at anytime. Check here for my favorite recipe I made the last week. Here is a photo! Travel – If you are one of the many traveling this season you are probably aware of disruptions in your regular schedule. You may dine out more often while on travel and exercise less in a different environment. You might be craving sugar, caffeine and carbs for quick energy and you may be exhausted. Research has shown that our appetites can increase up to 25% when we are tired. Be aware of this when you are on travel. Find time to exercise daily, even if it’s just a 30-minute walk and keep in mind your diet while away. It might be handy to have a small notepad with you so you can record your daily meals, that way you are more aware of what’s going into your body. Try to order dishes with vegetables and load up on them during family meals. A couple of years ago I traveled to Minnesota for an event with my boyfriend’s family, there was not one item green colored offered at the event, I actually found a salad at the bar upstairs, so keep in mind your diet while you are away too. Stress – If you are staying with your family over the holidays, you may feel a little stressed. And if you have children, you may feel even more with the changing schedules. This might cause you to eat to feel better and anxiety can cause your body to increase the production of the stress hormone cortisol which can cause weight gain. Meditation can help with stress, even if you need to break away to a bathroom to do so. Also, there are some great breathing techniques by Dr. Weil, you can check these out here. Binging – The most popular new years resolution is to lose weight, why? Because many times we binge during the holidays, resolving at a later date (New Years Eve) to start that diet. But why take that all or nothing attitude. Finding healthy treats and snacks is a great way to defray the holiday binge. 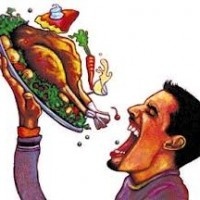 Check out these tips for staying healthy for the holidays here. Indulgences – If everyone around us is indulging in platter of treats, our resistance can get worn down. The proximity and visibility of food can be tempting to all of us. Try to eat a healthy snack before going to any party or drink a protein shake to make you feel fuller than if you went to an event starving. Even at work, goodies are all around, try to have a healthy sweet alternative, like fruit, a chocolate protein shake or granola bar. Have your snack, drink a glass of water and re-evaluate the situation. If you still want the goodies, then have them. Denying yourself will make you binge when you get home from work. Fun fact? Maybe not, but did you know that your body could be carrying around 5-10 pounds of toxicity at any given time? What is toxicity? It’s defined as poison trapped in inflammation and this poison can cause you headaches, bloating, water retention, food cravings and other medical conditions. But not me, you say (and I say). You eat clean, you don’t smoke and you use natural cleansers for your body and your home. Well, I’ve got bad news. We, and by we, I mean you and I, are exposed to over 2 million toxins each day including the air we breathe, the food we eat (even with clean eating), the water in our showers (very few of us have water purifiers), and our personal care products. I always recommend a gentle, seasonal cleansing of our bodies. Nothing too intense like the boxed pills and powders you see on the shelves of natural markets and no starvation. Eating real, clean seasonal foods strategically will naturally rid your body of toxins that can build up and create havoc for our systems. Did you know Lisa’s Lentils (the Healthy Secretary) offers a 12-Day Fresh Start program? It’s a 12-Day guided, easy-to-do, online program. This comprehensive program educates and guides you through reawakening your sluggish cells and discovering which foods fuel your unique body and which foods sabotage your health. Included in the program is a recipe guide which you can use long after the cleanse/detox ends with smoothies, soups and treats easy to make and so healthy and good. 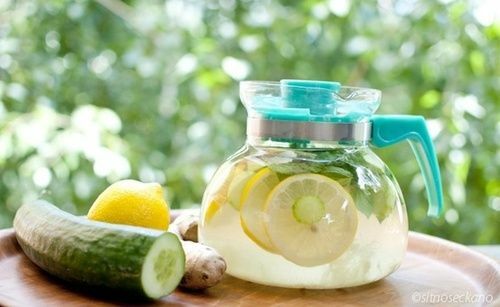 Read about the 12-Day Detox, and you can register here. The cost of the basic program is only $35, but feel free to add essential oils and/or supplements at $144 or more. For great recipes check out my recipage for FREE! Check out this shopping list from Lisa’s Lentils 12-Day Fresh Start Program. Wondering where to start with creating a healthy kitchen? Read below! Following is a “shopping list” useful in preparing healthy meals and snacks that are not only delicious, but are very low on the glycemic scale. Many of the items below (outside of the fresh produce) will keep for a long time in your pantry so you always have a healthy option available. Keep in mind anything you currently have in your kitchen that have high-fructose corn syrup or artificial colors and sweeteners should be removed. Once you have yoru kitchen set-up it’s a lot easier to make healthy and quick meals! It’s quite an investment in the beginning but you can buy one or two new things for your pantry with each grocery trip and eventually you’ll have a kitchen with healthy options. This is a very difficult topic for me to approach because I don’t have one health hero, I have many. My friend Nancy is one. She is in her 60’s, she works out all the time, she tries new things, like Yoga a few years ago, she’s totally interested in her health and sticks to a vegan lifestyle. She doesn’t drink or smoke and she looks 20 years younger than she is, she’s a real inspiration. She seeks out nutritional classes and opportunities to learn more about her health and she always looks fabulous. 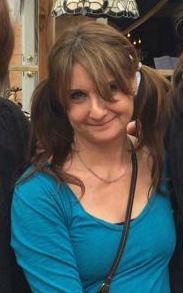 She is also a very kind and warm person and she shares her experience and enthusiasm with others. She’s a true health hero. I really like Angela Liddon from Oh She Glows. Her vegan recipes are amazing, to die for. She always talks about how she runs, and she’s got an amazing relationship with her husband. Her home is so cute. I think she’s really go it together. She helps others to get healthy as well. 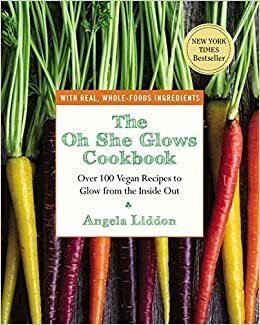 Her Oh She Glows cookbook is vegan and absolutely amazing, she’s got great tips and advice for anyone who wants to improve their health by improving the food that goes into their body. Elizabeth Rider is another, her career in the health field is astonishing. Barely over 30 and she makes a six figure income doing what she loves. She’s taken the bold step to move out of Colorado and try to new life in Montana, she’s another with an amazing house, a great husband and always looks healthy and vibrant. She’s a thriving entrepreneur and it’s because of her that I found the Usana supplements which have totally changed my health, my mental accumen and my sleep. These supplements are truly amazing and I credit this to Liz. These women are who I look up to for my health hero. I believe a health hero must not only be nutritionally sound, but take into account other areas of health as well, including career. So important to be happy in what you spend the majority of your adult life on. People spend more hours on their career than many other areas of life, so happiness is key to health in this area. Family is important too. I am always stressing how vital it is to have a good family relationship and for a parent to actually raise their child, spend time with their children and take responsibility for their family. I have always learned growing up that family comes first. Unfortunately we can’t choose our family, and I often wonder if I would actually have the people in my family in my life if they were not my family. However, family usually has your back, they know your history and they love you anyway, and many times they make time for you even when you don’t have time for them. Family relationship is part of the health equation. I know my friend Nancy is an excellent mother and grandmother and she most definitely puts her family first, I respect and love that about her. Spirituality is part of the health package, no matter what your religion. I was raised Jewish but I do not practice it. I have chosen to do more meditation and yoga than sit in a synagogue all day praying in another language that I don’t know. I have another friend, Rachel who was also brought up Jewish but goes to church, weekly. She’s found that to be a great spiritual outlet for her, and after going through breast cancer, she found that to be her path. I think spirituality is very vital to health no matter how you practice it, just connecting with yourself and your inner or outer guide really lifts you. Creativity is healthy as well. We all have creative outlets, whether it’s writing a blog like I do, painting a mural, or giving a presentation, we all have creativity in our life, it just doesn’t show up the same for everyone. Angela Liddon’s creativity was in her Oh She Glows cookbook, every photo, every page, every recipe, lovely! She’s amazingly creative. We often want what other people have, but it’s healthy to recognize our own creative ways and value the differences between all of us. Financial health is something many people are striving towards. It is my belief that when you feel healthy financially, a lot of the other pieces of the puzzle fall into place. I feel financially healthy, I don’t have a Bentley like my cousin Gary, I don’t travel the world like my friend Carole, and I don’t make a six figure income like some of my friends, but I don’t worry about money or paying my bills. I have a secure job with a future pension so I really don’t have to worry about money. There are many more ways to measure health, physical activity, home cooking, spirituality, education, financial health, relationships/family, joy, social life, career and nutrition are all part of it. I know we all have people we can look up to in all these areas of our lives, but we should not measure ourselves against our hero, we should measure ourselves by our own standards of what works for us. We are all individuals, we all need to take care of our health and I know all of us want to live successful, sustainable and healthy lives. I hope you can take an inventory of your health hero’s and implement a little bit of them into your daily routine. That would be enough to be your own hero. My name is Lisa and I am a Certified Health Coach. 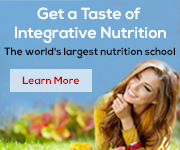 I received my training from the Institute for Integrative Nutrition. As a Colorado native, I have always been interested in health and fitness. If you have any recipes to share, or feedback regarding this blog, please let me know, I am looking forward to your thoughts. Subscribe to my Newsletter and get a FREE Spring Salads Recipe Guide! Click my logo below to subscribe! Disclaimer: The information and coaching we provide is intended to educate, inform, amuse, and inspire you on your personal journey towards optimal health and a thriving life. It is clearly not intended to replace a one-on-one relationship with a qualified health care professional and is definitely not intended as medical advice, diagnosis, or treatment. If you are under the care of any health professionals (or should be), we strongly encourage you to discuss modifications in your diet, lifestyle, exercise program, nutrition, or use of Energy Tapping with them prior to making any changes, and never discontinue or reduce prescription medications without consulting your doctor or pharmacist. Encouraging those who want support to reach their health goals. .clean mind. clean body. clean life.